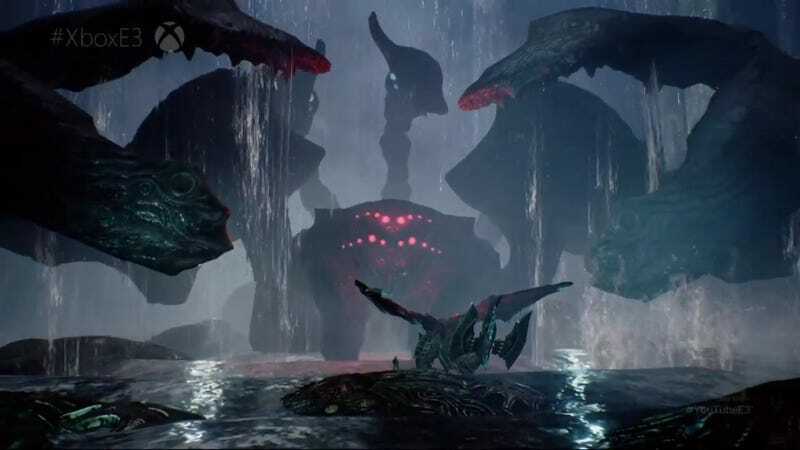 Today at Microsoft’s E3 press conference, Platinum Games showed off a massive co-op boss fight from Scalebound, their take on Monster Hunter-ish co-op beast slaying. Platinum’s Hideki Kamiya called this sequence “the biggest boss fight platinum has ever made,” which is saying something. Having watched the clip, I buy it. That is a very big crab. The game is coming to both Xbox One and Windows 10 in 2017, and like the rest of the exclusives at Microsoft’s E3 conference will support Microsoft’s new “Play Anywhere” cross-buy and cross-play initiative.